Whites Legal’s director, Richard Edwards, moved west to Perth in June 2017 and HQ came with it. As part of the move back to Perth, Richard reached out to law school friends and spoke with Aaron McDonald, the director of Pragma Legal. 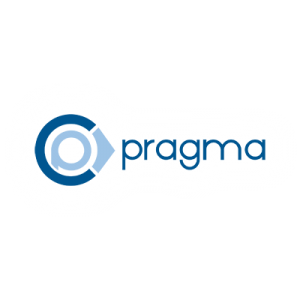 Pragma Legal is a bit of a darling in the WA legal industry, being recognised for its rapid growth and its innovation. The Supreme Court Chief Justice lauds its fixed fee to early mediation. That’s a game changer. Clients of Whites Legal can look forward to a bigger and rapidly growing team of lawyers, while still being able to tap into Richard. He’s not going anyway (other than to Perth, but you’re a bit late if you wanted to stop that). Any of Whites Legal’s contacts will put you through to him. Richard has a track record for implementing tiered, guaranteed, fixed pricing on all non-dispute work, giving clients’ choice, control and certainty. Richard has been recognised for his work as a finalist in national and Victorian law awards, interviews with leading industry publications and an article written for The Australian. “Fixed price to mediation is a revelation. Litigation is uncertain enough without knowing what your lawyer is going to charge. Fixed pricing for a set scope agreed upon upfront is the better way. It’s a great match,” said Richard. Richard will bolster the commercial practice and bring his knowledge of fixed pricing to Pragma, while seeking out coffee just like he had in Melbourne. “We are delighted to have Richard on board. I’m looking forward to him hitting the ground running when he joins on July 5,” Aaron McDonald, Director of Pragma Legal, said. We’re keeping all of the resources and content up on whiteslegal.com.au. It’s good stuff. If you haven’t had a look, head to Small Plates and start browsing.